Playtex innovates again with the new range of Cotton Liberty women's T-shirts. 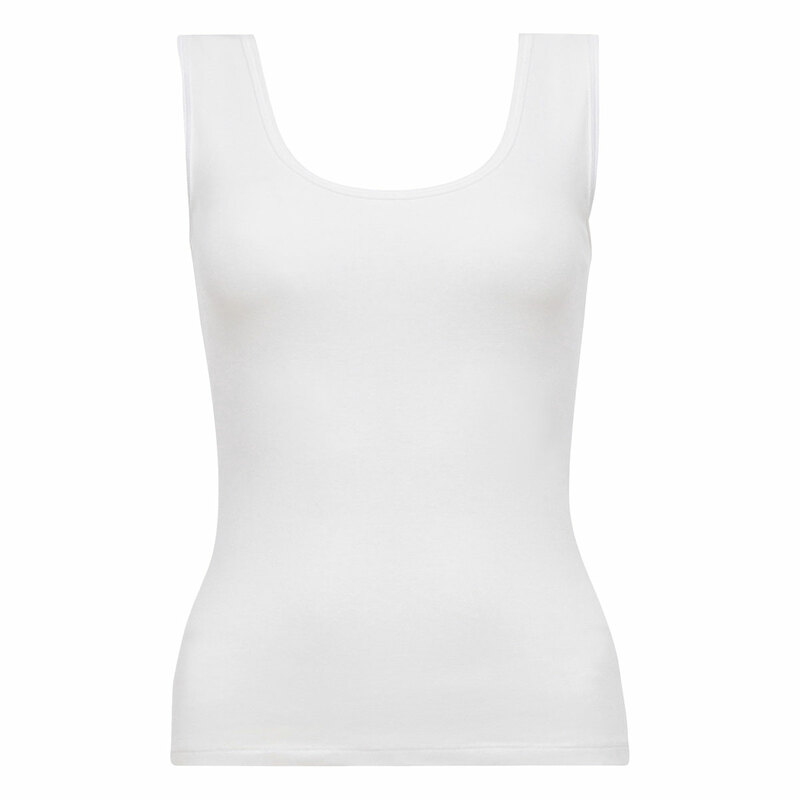 The white sleeveless top is a timeless piece of underwear that offers enormous comfort. It will bring you a feeling of total wellbeing with its flat seams that are almost invisible under your clothing and its fitted, figure-hugging cut. Move freely whatever you need to do during the day, thanks to its super-soft cotton. This 100% cotton basic is a must-have in any woman's wardrobe. The bold Cotton Liberty range offers you this classic sleeveless white top. It's ideal for everyday wear and discreet whatever you're wearing. This adorable little sleeveless T-shirt goes beautifully with comfortable briefs. Try it with the high leg briefs from the Cotton and Lace collection or the Maxi brief from the Cotton range in the colour of your choice.